This week, the Lancia Gamma receives the DTW Longer Read treatment. It’s a question I’ve been asked on a number of occasions: Why the Gamma? 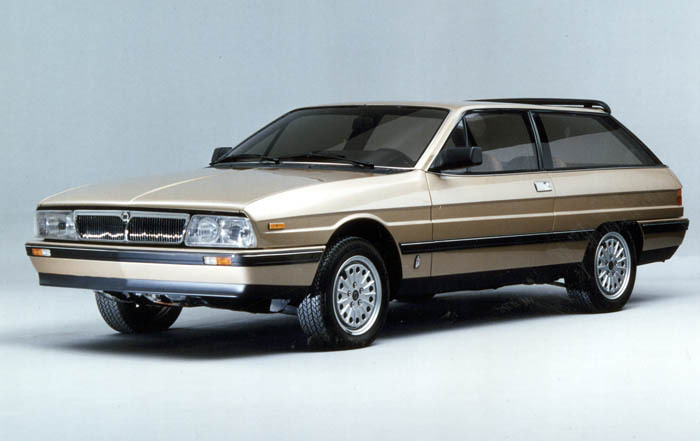 Why devote well over ten thousand words to a car whose failure hastened Lancia’s headlong spiral towards infamy and oblivion. The answer is, like the Gamma’s story itself, somewhat convoluted. The French have an elegant phrase; l’appel du vide, which roughly translates as the call of the void, which neatly encapsulates not only our ingrained fascination with disaster, but may also go some way to explaining the rationale behind the piece. Basically, for a writer, failures are more interesting subjects, containing as they do, hopes and shattered dreams, not to mention a sizeable share of drama, a quantum of which lies scattered like fallen leaves amidst the Gamma’s via dolorosa. 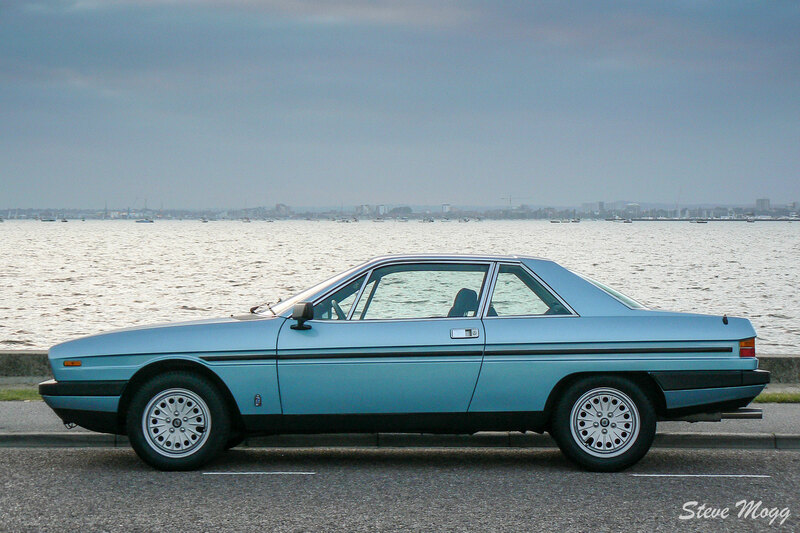 In truth however, I came to write about Lancia’s 1970s flagship as the result of what turned out to be an abortive commission. Searching for a subject that fitted the brief, I landed upon the Gamma as a car I knew little about, but which nevertheless exuded a dark allure. As with most of these ventures, by the time I had carried out the necessary due diligence, my view of both it and its creators had shifted markedly and having initially approached it with some prejudice, I found myself, if not wholeheartedly defending Sergio Camuffo and his engineering team, at least attempting to tell their story in a manner which I felt, went slightly deeper than the usual shopworn retellings of automotive fables such as this. Every road to perdition begins with sound intentions, after all, Lancia obviously didn’t set out to produce a flop. But what the Gamma abundantly illustrates is what can go wrong when two strong cultures are bound together but are failed by management. Because if anything holed the good ship Gamma below the waterline, it was politics. Signs and Portents, now in its longer-read format can be viewed in full here. I’ve always found it bizarre (and this is no criticism on you, Eoin, you had to report the facts) that the Gamma Berlina’s styling was so polarising. It’s a much better design than the Beta, quirky enough to give a bit of warmth and individuality without significantly deviating from post-war Italian modernism. There are notes of MK1 Granada, Rover SD1 and Citroen CX to be seen in the shape, and none of those cars seem to cop so much criticism for their styling (rightly, they’re all great). The interior, though, was not the finest hour of FIAT. It should have been more Mercedes-like. Great long read by the way, I’m through half of it and hope to have the rest finished later. One of my parents’ neighbours was a manager at the local IVECO HGV plant. When the Gamma came out, all managers were given Berlinas as company cars, in this case a dark blue with yellowish interior. Except for the cheap dashboard, the car had a certain leftfield charm and character by the bucketload, it also drove very well. The Gammas were often chracterised as jumbo sized Alfasuds which is a pretty good description. All these Gammas disappeared in no time and the poor managers had to make do with Fiat 132s and, later on, Argentas. For them, the Thema didn’t appear a day too soon. In 1988 I had a business appointment at Peugeot’s Sarrebruck HQ and in their large underground car park I discovered a silver Gamma coupé, covered in tons of dust. The car was dirt cheap and came with two additional engines which was very practical because it was possible to have one engine in the car, one on the workbench and one to put in the car when needed. The Gamma’s cambelt problem was actually solved by a new tensioning mechanism. The crazy thing is that engines with these trouble free tensioners never found their way in production cars and only ever were available as spare parts. The valve gear is suffering excessive wear problem caused by to lack of lubrication. There are no oil reservoirs for the cam lobes and therefore the whole valve gear is completely dry when the engine is started after any time of standstill. When the engine gets started, it takes very long until oil reaches the camshaft which in turn is worn out very quickly. This can be cured by fitting external oil lines that deliver oil directly from the oil filter flange to the cylinder heads. It’s a shame that Lancia never got around to fix these problems. DtW’s coverage of Lancia is great. But how could the story turn out any different? Imagine there exists an individual with the wealth and drive of Elon Musk, who wishes to get into the automotive business. They are a lifelong Lancia devotee and perhaps they also want to revive Italy’s industrial fortunes. They have c. 1 billion euros to splurge but the revived company must be (eventually) self-sufficient. Where would they start? How would you revive Lancia today? Engineering a stand alone car wouldn’t be cheap, but sharing components with lesser Fiats marked the beginning of the end. It is hard to see a place for Lancia today, as the car market goes through so much change. Thank you, Eóin, for an excellent write-up about a car that has always fascinated me. Perhaps I’m in a very small minority who prefers the design of the Berlina to the coupé? The latter was spoilt by having too short a wheelbase (or too long overhangs?) and, particularly,by those awkwardly placed black side rubbing strips, which looked like a complete afterthought. Regarding the Berlina, only the slightly awkward C/D-pillar treatment (and excessively falling roofline?) compromised a much more elegant design than the frumpy Beta. The latter’s thick painted door window frames had no place on a “premium” car. More generally on the subject of luxury and premium* cars, I really mourn the loss of variety and, in particular, the national characteristics that were a feature of this market when I was a child in the 60’s and early 70’s. The Peugeot 604 and Citroen DS/CX although very different to each other, were still emphatically French. Likewise, Lancia and Alfa Romeo were indisputably Italian, even if the companies were biased respectively towards “luxury” and “sporting”saloons. Nowadays, all we have is the German hegemony of Audi, BMW and Mercedes-Benz and their increasingly convergent definitions of luxury and “premiumness”. Lexus’s 1989 tour-de-force, the original LS400, was palpably not an S-Class, but better in so many respects. More recently however, the company has just chased the Germans rather than maintaining an independent line . Even the Koreans are at it: whatever its merits, the Kia Stinger is simply that company’s attempt to build a BMW. *I deplore that descriptor, as I do “perceived quality”. What a pleasant way to spend Sunday, languishing luxuriantly in Lancia. Wonderful and highly informative reads. Many thanks for enlightening me on the Gamma and the social and industrial nature of 1970’s Italy.